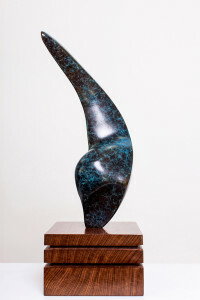 Thyrsus is a Limited Edition of 9 sculptures by Marko cast in Bronze with a Mahogany base.This example has a mottled Prussian blue patination and a polished Mahogany base. 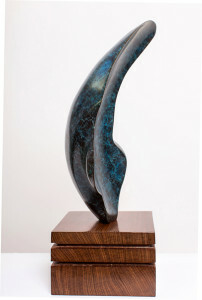 A range of patinations are available by commission. 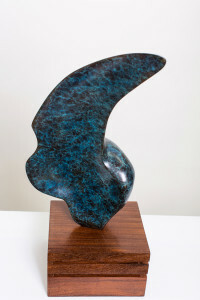 The sculpture is signed by Marko and was cast by AB Fine Art Foundry, London. 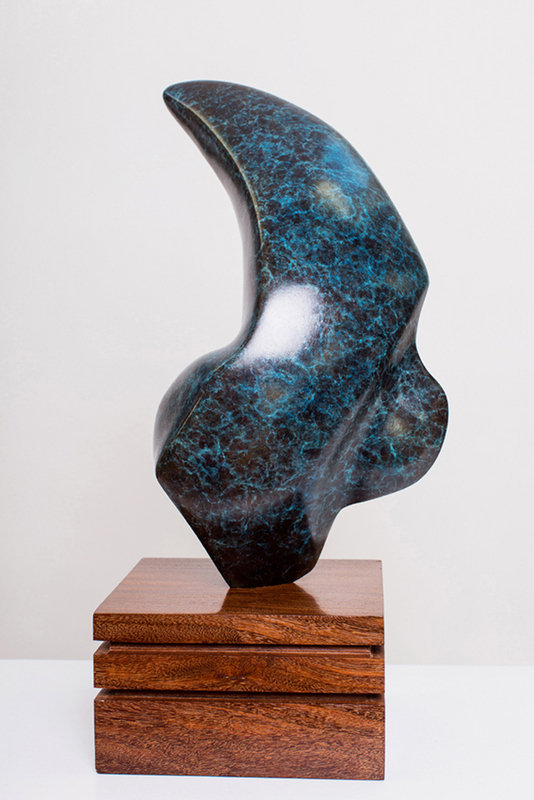 The original was hand-carved by Marko in Italian Alabaster and is in a private collection. Dimensions: H42 x W18 x D9 cm.